Eric Raymond was the first person to fly across the United States on solar power in 1990 in Sunseeker 1. 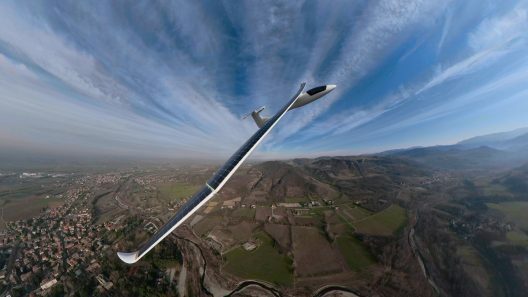 He was the first to fly on the sun’s rays over the Matterhorn in 2009 in Sunseeker 2. He and his wife Irena built the Sunseeker Duo and routinely fly it around northern Italy and over the Alps into Switzerland. Eric has more hours piloting a solar-powered airplane than anyone, and Irena is probably the most experienced female solar pilot. 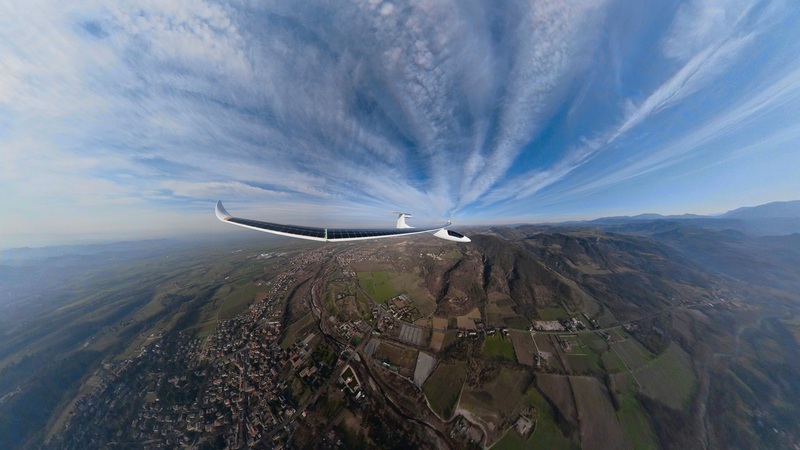 Only Bertrand Piccard and Andre’ Borschberg in the Solar Impulse would have anywhere need as much time at the controls. Janice Brown, “a…former elementary school teacher” flew Paul MacCready’s Gossamer Penguin and Solar Challenger, even achieving a record altitude of 15,300 feet in 1981. But Irena has by now easily exceeded Ms. Brown’s total solar flight time. Eric and Irena are professional photographers, and all of Eric’s designs have sliding canopies or large openings to allow use of the many still cameras and GoPros they carry on-board. Recently, they’ve allowed Eric Conrad Lentz Gauthier to fly the Duo, perhaps because he’s a demonstrably capable flier. His web page explains his extraordinary skills. “Eric is an American competition aerobatic pilot in Powered and Glider categories. He is the U.S. National Glider Aerobatic Champion and pilot on the United States Glider Aerobatic Team, which represents the U.S.A. in FAI sanctioned international competitions including the World Glider Aerobatic Championships held every year. Eric was also selected to represent the United States flying at the World Air Games Dubai 2015 and at the IOC World Games in Wroclaw, Poland 2017. Considering its large size (22-meter (72.17-feet) span, the Duo weighs only 290 kilograms (638 pounds) and carries two in an expansive cabin. They even filmed a Skype commercial in it, with a large camera setup taking the place of a passenger. At a maximum weight of 470 kilograms (1,034 pounds), it settles onto the runway at 28 mph – ultralight speed. 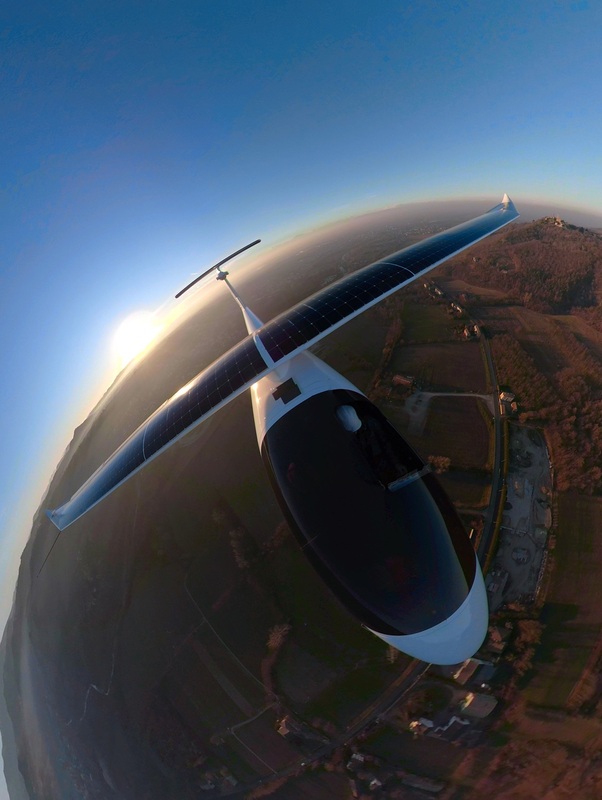 Able to fly with the birds and leap the Matterhorn in a single bound, Duo is a super aircraft. In a short email, Eric expressed his wonder at the abilities of GoPro POV (point of view) cameras. “When I started flying with cameras on my wing 40 years ago, I never imagined that a POV camera could take pictures like these! All elements in harmony. Where else can one have such glorious experiences on only 22 kilowatts? The Fusion is a 5K camera, a notch up from 4K video and able to “stitch” adjoining sequential frames into a full 360-degree panorama. Its rather astounding “fish-eye” capabilities are unique and exreme. Needless to say, great pilots flying over a gorgeous landscape and under an equally gorgeous skyscape are bound to bring back gorgeous images.